I think I had "Shantaram" by Gregory David Roberts in my bookshelf for more than year now. I saw everywhere that this book is amazing and a brilliant read. Even Johnny Deep have bought the film rights to the book and will star in the movie adaption. But why did it take me so long to read? I was simply intimidated by the size of this book with its 930 pages, despite the very interesting the story line which is largely based on the author's own life. Only most of the characters are fiction. In a nutshell, Lin escapes from an Australian prison and fled to Mumbai where he lived in the slums, established a free-medical clinic and later on got involved with the Mumbai mafia and worked as a counterfeiter, smuggler and gunrunner. The book starts when Lin arrives in Mumbai so I didn't have any trouble getting into the book which was my biggest worry at the start. It also kept me interested but I never had this "I can't put it down feeling" about it. I enjoyed reading about the author's experience of the poorest parts of Mumbai and his colourful description of Mumbai. It was like he took me on a journey through the real Mumbai. I was amazed by how much the author loves Mumbai and India and he does a great job in showing his respect to India. Roberts described the characters very well and detailed. I had a clear pictures of the characters in my head. In particular, how all Indians wiggle with their head. Not so good bits: Quite often I was confused by the number of similar names: Khader, Khaled, Abdul, Kavita, Modena, Maurizio. All those names appeared to be up come usually in the same context so it was a little hard to keep them apart. In some parts the book was way too philosophical. I found myself skipping over the pages when a philosophical discussion came up. The book is packed with many events like death, fights, betrayals etc. but it appeared that those events all happened at the same time or on the same day - I didn't like that. I felt like the author did not know how to put these individual events separately into the story. Towards the end of the book, Roberts tries to show that everything which happened to him in Mumbai happened for a reason and was no coincidence. That felt like reading a crime book where you find out at the end who the killer is. Over all, I can recommend to everyone reading "Shantaram". It is a colourful and enjoyable read. Roberts is currently working on a sequel and rumour has it that the shooting for the movie will start in September/October this year. I enjoyed a latte and a glossy magazine in the sun this afternoon. As I was flicking through the September issue of that magazine to be inspired by the new trends, I noticed I became more and more annoyed, almost pissed off. It wasn't because I disapprove the latest trends like clogs or leather t-shirts or the loud conversation of a crowd of Chinese tourists next to me. No, all these photos of all those stick-thin, size 0, unhappy looking, teenage catwalk models really pissed me off. Seriously, who does still think that those sick and unhappy looking models will make us women want to buy that dress? I don't even think that the clothes look good on them nor do I envy these models for their body. I envy Beyonce, the Kardashian's sisters and J.Lo for their confidence and welcome their healthy approach to their bodies. These ladies can almost pull off everything and they are not a size 0 or 2. Can the fashion world please wake up and show healthy and happy looking, not size 0 models? I almost feel sorry for these models as it cannot be healthy to maintain a size 0 figure. All these reports about deaths of models due to anorexia clearly prove that. Over the last couple of years, a number of designers have started to work with "plus-size" models, but is a size 12-14 woman really a plus size? The average Australian woman is a size 14, so it is the UK and the German average size is 40 (size 12). Does this mean that the majority of all women around the world are a "plus-size". I don't think so. Look at Crystal Renn (former size 0, anorexic model, now successful "plus size" model). She looks great and normal just like an average woman you would see on the street. I want to see more of women like Crystal on the catwalk and in magazines. Karl Lagerfeld who is a vehement defender of size 0 models said famously that "no one wants to see a big women" . Looking at the photo below - here Crystal walked for Chanel spring 2011 collection. Can I assume that Crystal is not a big woman then, Mr. Lagerfeld? Breakfast is my favorite meal of the day. I love to have a late and long breakfast in a nice and comfy cafe - that's the perfect start of a new day (after a quick morning run). We have tried a number of cafes here in Singapore, but so far none were able to meet "our standards" which aren't really high, I think. Either we got served brioche with a savoury dish such as poached eggs (sweet and savoury - I don't like it) or it had re-heated frozen spinach from the supermarket or you can't actually get an eggs dish unless you like eggs benedict. The search is over - we finally found a cafe which serves a good Western breakfast, exactly how we like it. 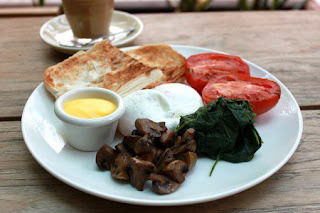 Poached eggs with spinach (no frozen, re-heated spinach), mushrooms and roasted tomatoes plus the best coffee I had in a while, since I moved to Singapore, to be exact. The cafe is called "Boomarang" (no there is no typo in that word) and, surprise, its an Aussie cafe, where even most of the waiters are Aussies. 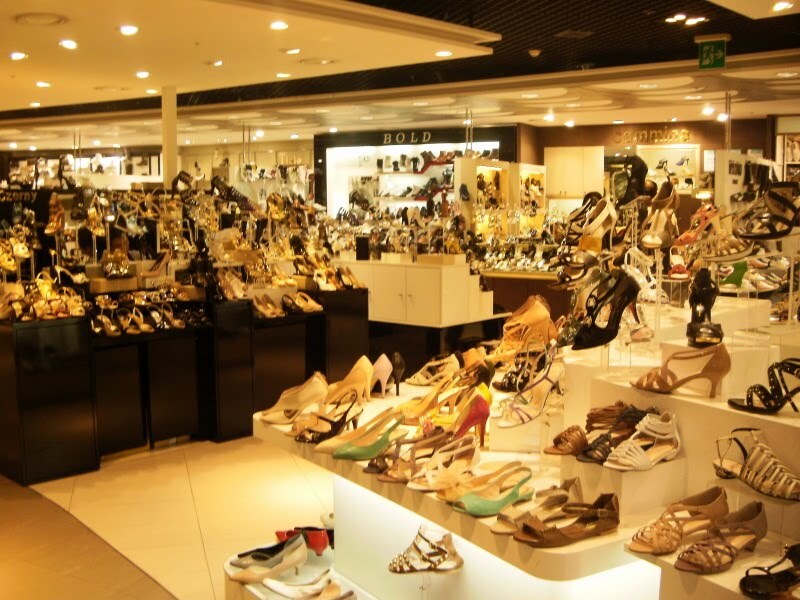 It is located at Robertson Quay which is about a 30 minute walk from our apartment, or $7 cab fare. Most of the tables are outside but undercover. They also have an impressive wine fridge but not that we had wine for brekkie. We walked to and from the restaurant yesterday which was a nice walk along the river and a good way to get the steps up. I definitely want to go back there again. Maybe even this weekend, try the pancakes or the omelette and have another of those great coffees. While running on the treadmill and listening to the Glee soundtrack this morning, I thought about how much exercising has changed my life in the last few years. Yes it is true - I am not making it up. However I started going to the gym when I just moved into another city. I think I only joined in order to meet new people. Meeting new people in the gym is kind of hard, I found out later, instead I discovered that I enjoyed to doing step and Body Pump classes and really got into Thai Bo (Thai Boxing exercise class). The main reasons I went to the gym were I always wanted to lose weight (probably like most young women) and most of my friends and colleague went to the same gym. So going to gym and working out was more like a task, a "duty", like cleaning my apartment or feeding my cats. Never something I enjoyed. About 3 years ago, I began to do the so far impossible: I started to run regularly. Something I would have never thought of doing before, not even in my wildest dreams. I was one of those people who says adamantly "I loath running. I do not know why you would to that to yourself. I cannot do it." Me and running was like "salt in a coffee", two things don't work with each other (although I saw Coffee Bean and Tea Leaf sells Salted Cappuccinos these days, but I guess you get my point). First I began to run only for 20 minutes and built up slowly over time. Around the same time, I also became bored with my workouts in the gym and started to do boxing classes and took personal trainer lessons while keeping up the running. Only then, I discovered that I can get so much more out of exercising, not just burning calories. It helps me to de-stress. It challenges me mentally a different way my job does. It makes me feel so much better. I can achieve the impossible. I started to see my body in a different way, I started to actually respect it for what it is capable of. Running remains my passion. Yes I know that sounds probably a little bit odd. If I could only do one form of exercise I would choose running. I love running along the Yarra River on a quiet morning with some great songs on my iPod. I strongly believe that running contributes to reducing depression - it always helps me if I feel a bit "down". Running gets me "into the zone" - it is just me and nothing else. I still can't believe that I ran the Melbourne half-marathon last year. Sometimes when I feel giving up and stop running, I try to remember that awesome feeling when running along Flinders Street on the way to the MCG thinking "Oh my god, I am running a half-marathon and I am feeling fantastic." The other thing I thought I would never enjoy is doing weights training. The thought of going to the weights section in the gym amongst all these posers and muscular guys and girls just intimidated me. My personal trainer Chris knew how much I feared weights training and slowly introduced to weights and showed me that there is nothing wrong with a normal chick doing weights training. I kind of have to admit that I love the feeling when I can lift more weights now than the guy next to me. I don't think I will ever stop exercising. It is now a part of my life. I would lie if I would say I don't work out to maintain or lose weight. I like food and wine too much so I cannot afford not to exercise. But I don't exercise anymore purely because of this thought in the back of my mind "I ate chocolate yesterday so I must run for an hour today." I need exercise to stay sane and I want to be and stay healthy. Isn't your health the most important thing in your life? This is a funny German book about a selfish woman who gets killed by a toilet bowl and is reborn as an ant, as a result of bad karma. Living as an ant near her old house, she discovers that she loves her daughter and husband and is determined to earn some good karma. It is a light and entertaining book. It was a best-seller in Germany for months but I wouldn't say it has best-seller qualities. This book is great and an easy read. (I almost read this book in one night.) 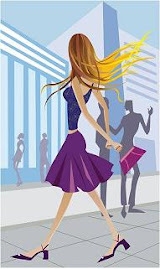 If you are looking for some good chick-lit, read this. These two books are my favorites in the list. There will be a series of "I heart" books and "I heart New York" is the first book. It is about an English woman, Angela, who fled to New York after she finds her fiancé cheating on her at the wedding of her best friend. 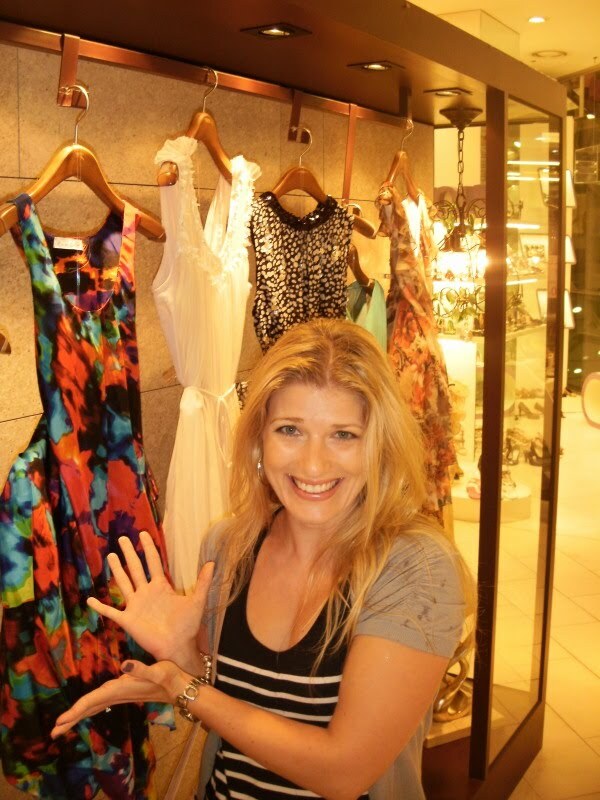 Angela tries to "recover" from that shock in New York by making new friends, doing lots of shopping, drinking cocktails and dates various NY men and writes a blog for a magazine about it. As the title suggests, in "I heart Hollywood", Angela goes to Hollywood where she has to interview a famous British Popstar. Both books are funny and definitely worth a read - Chick-Lit at its best. The third installment "I heart Paris" has been released in July and it is already waiting for me in my bookshelf. which is this crazy, skinny and demanding woman. Yes, very similar to "Devil wears Prada". It is an okay read, you don't miss anything if you don't read it. I have read lots of Lisa Jewell's books over the last few years ("Ralph's party" is one of the chick-lit classics) but for some reasons it took me years until I read this. I think this book is good but over-rated as it is boring and "life-less" in a various parts. Lisa Jewell can do so much better than that. According to Chick-Lit Club.com, "Heaven can wait" is the only book which got 10 out 10 points. That's big call, I thought, but also got me curious. Lucy breaks her neck and dies in the night before her wedding day. She decides to become a ghost instead of going to heaven so she can be with her soul mate Dan until he dies. But becoming a ghost is not that easy, first she must fullfil an impossible task, as it seems, and her best friend is determined to make a move on Dan. The story line reminded me of "Just like Heaven" by Marc Levy, but "Heaven can wait" is so much more entertaining and packed with love. This book made me feel very grateful for the people I have in my life. This book is about 3 sisters and their fight after their mother's death and her will which sets out that only one sister gets everything, the multi-million dollar family home and a painting. Do yourself a favour and do not waste any of your time and/ or money on this book. This must be the worst book I have ever read. I am still so annoyed that I wasted my time with reading this 700 pages book. What's the story line? I don't think there is one. Ah, hang on - a 40 years old married woman and mother of 2 kids decides to have an affair with a 20 years car dealer and leaves her family for him. Seriously, Paullina Simons, what happened to you? And your publisher, why didn't they kick you out when you presented them with that book? This book is awful and so boring. The poor Cuban-American Rosie wins $600 Million in the lottery and finds out that being rich also attracts the media-spotlight, ex-boyfriends and scammers. The plot would be actually quite funny but Bertha Platas is not able to turn it into an entertaining read. The latest novel by Cecilia Ahern is about a former rich and spoiled teenage girl who is forced to move to the Irish country into the house of her aunt and uncle with her mum after her dad committed suicide. During her stay she finds a diary which appears to have entries about the future. Well, what can I say about this book? It was boring, dull and predictable. Cecilia Ahern's last novels were rather a disappointments, including this book. I would like to see books that have the same magic as "P.S. I love you" and "Where the rainbow ends". Yes, this book is one of the books I was looking forward to read in 2010. I loved her past novels. In fact, "Something borrowed" is one of my favorite books of all times. The "heart of the matter" is about a pediatric plastic surgeon Nick and the issue of his marriage to Tessa, a professor turned stay-at home mum. Things are getting even more complicated and worse when Nick gets closer to Valerie, a single mum of one of his patients, a six-year-old burn victim. The books is written out of the respective of Tessa and Valerie and shows that there are always two sides to a story. This book is not an easy read. It is deep, serious and partly sad. I read this book in 2 days and could not sleep after I finished it. As a newly-wed it frightened me about the potential problems of a marriage. I highly recommend reading this book but please be warned you may not feel happy after you have finished it. I have read about 5 more books since early July and will post the reviews soon. Currently I am reading "Shantaram". Finally, I was brave enough to start this epic 900 pages book. I am about 380 pages into it and quite enjoying it. Here is my a little late report about Seoul - being homesick also resulted in having a little "writer's block" and when I didn't have a "writer's block", I wrote on my assignment for the uni. I am feeling better now so let's start with my tales about Seoul. On the flight to Tokyo, I read in the inflight magazine that according to the Forbes' magazine, Seoul is now in the top ten of "Must See place in the world" and also is the 2010 World Design Capital. These 2 facts made me more curious about the South Korean Capital with its about 12 million inhabitants. Of course I didn't expect Seoul to be a small city. It must be a global city after hosting the 1988 Olympics, the 2002 World Cup (you know, when Germany was in the final against Brazil) and will also host the G20 submit later on in the year. After a comfortable 6 hours flight and 1.5 hr drive from the airport later, we are finally at our hotel in the district Gangnam, the traditional club and bar area but also in the heart of the CBD. 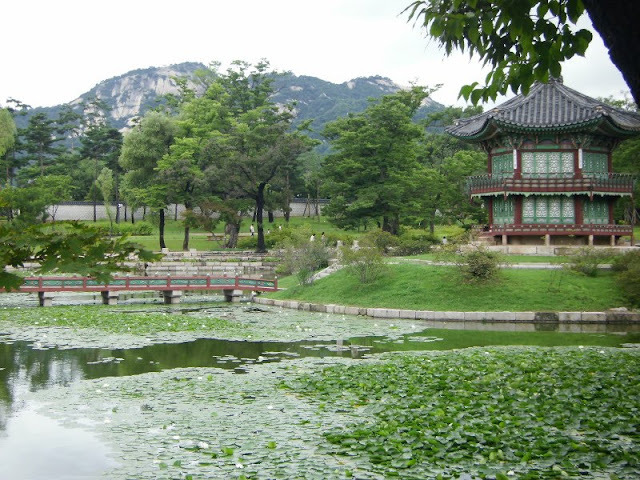 Seoul is divided into two parts by the Han River, the older and more historic Gangbuk ("river north") and the newer and more affluent Gangnam ("river south"). One of the biggest challenges in Seoul is being able to communicate and read a menu in a restaurant as hardly anything is written in English. After walking around for 30 minutes or so, we ended up in an "All you can eat" tuna sashimi restaurant - they only served tuna sashimi with a few side dishes but nothing else. Luckily one of the waiter spoke English really well. 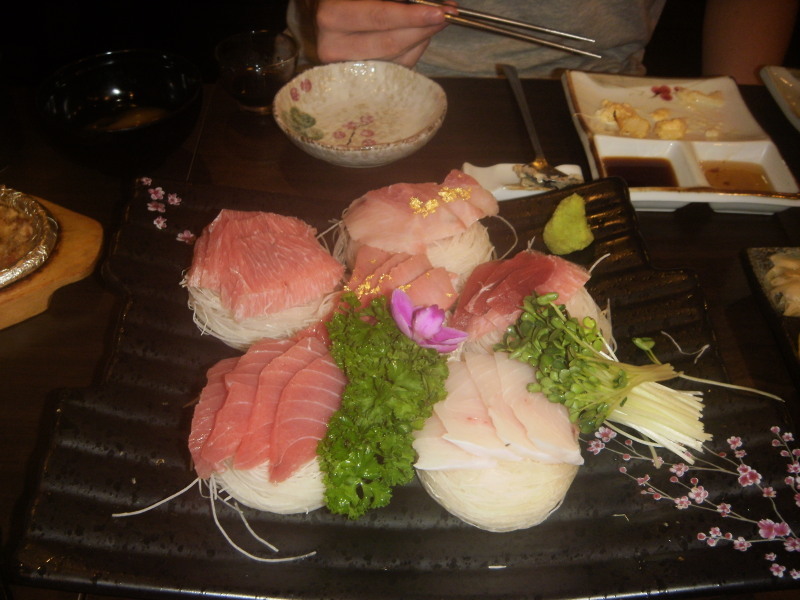 He explained us which type of tuna was served, which part of the tuna it is and how to eat it. Not only I decided that I don't like to eat the belly button of a tuna, I also found my new favorite drink "bokbunja ju" - Black Raspberry wine. The waiter explained to us that it provides a lot of power and can be translated into "toilet breaker". No need to add anything here, don't you think? On the next day, I explored the streets of the famous shopping district Myeongdong. It is a little district with small lanes and lots of cool shops. 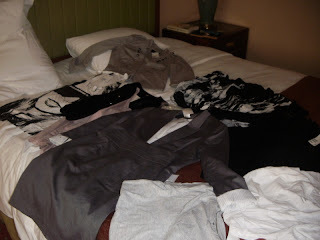 I spent a small fortune at H&M (unfortunately there is still no H&M in Singapore and Melbourne). Also never mind that I almost only bought autumn clothes which I can't wear in Singapore, but you never know. Loaded with my shopping bags, I walked through the Namdaemun Market (which seems to be "just another market in Asia") and finished my tour at the Deoksugung Palace which is next to the City Hall. I was lucky enough to changing ceremony of guards. I call this "successful shopping"
We were invited to Korean barbeque in the evening. I had it once in Singapore and didn't like it much. 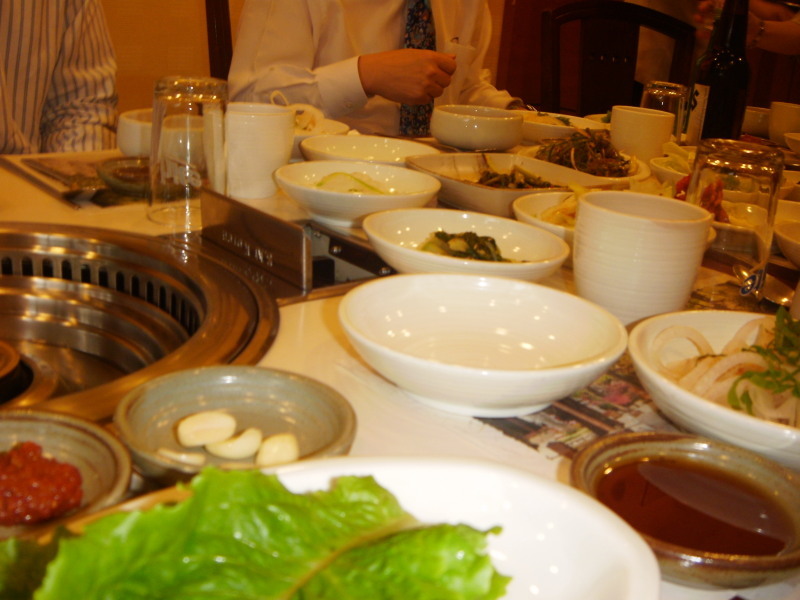 But it was soooo good in Seoul. Oh, and I am not a fan of soju. It is a spirit like vodka, but tasted far worse. 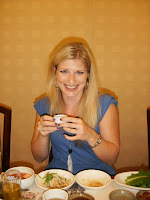 After my discovery of "bokbunja ju" the night before, I was happy that I could drink that instead of soju. The next day I stayed in bed for almost the whole day. I felt quite sick with a sore throat when I woke up. So that wasn't too bad because it rained the whole day. And no, it didn't stop - it continued raining for another 2 days. That evening we went to THE famous shopping area Dongdaemun. It is an area with many shopping complexes that houses hundreds of individual stalls. Doota is the one which is much more upmarket and the fashion is very trendy. I felt like I was in heaven. The next day was probably the most exciting day of our Seoul trip. We went to the Demilitarized Zone (DMZ) between South Korea and North Korea. Seoul is only about 75 km away from North Korea. I am still not sure what I expected when we got there - I was so shocked and impressed by it. There were soldiers everywhere, we had to present our passports and were only allowed to stay for 2.5 hrs in the DMZ. There are areas full with land mines. We also weren't allowed to take any photos, or only photos in restricted areas, in case we would be spying for North Korea. Part of the tour was to a tunnel which was dug N Korea to invade S Korea after the war. The most interesting part of the tour was to learn that the South Korean people are so hopeful for a reunion. They don't hate the North Korean, they actually feel sorry for them. South Korea has already built a train station and train track close to border so there would be infrastructure in the event of a reunion. This is also sign of hope. This tour really opened my eyes, in particular since I was born in East Germany but I was too small remember the wall. It made me also aware again that it is so important that North Korea will be stopped before they do anything with the nuclear weapons. I could write so much more about this but I won't bore you too much. This is a view of North Korea. 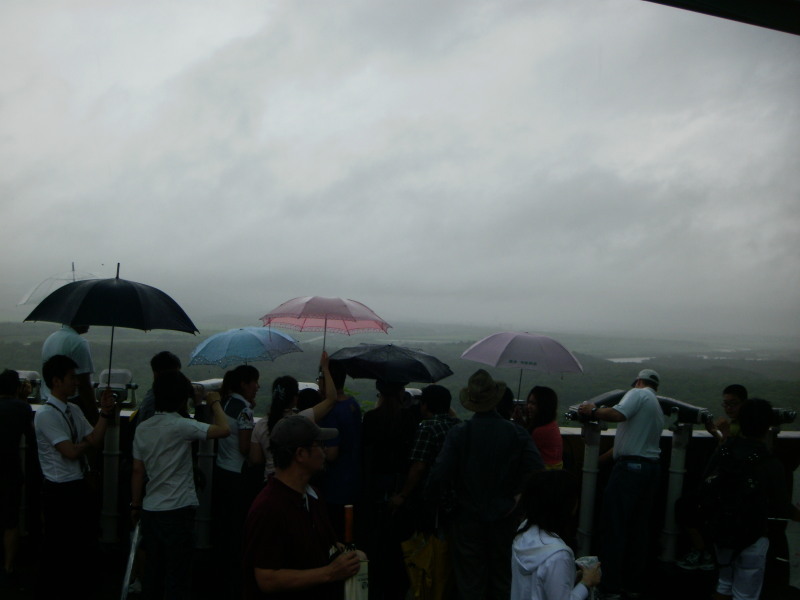 Unfortunately the weather was really bad but you get an impression what we saw. On our way back to the hotel, we stopped in Itaweon. Itaweon is very close to the US army base (there are about 20,000 GIs in Seoul) and therefore largely influenced by the American. I read that you can get really good fake designer handbags in Itaweon. Apparently someone would approach me and whisper "Handbag?" and then I would have to go into someone's house or so because the good fakes wouldn't be sold on the street. Well no one approached me which was a little bit disappointing. But this also means I need to get a real one instead. Any suggestions? 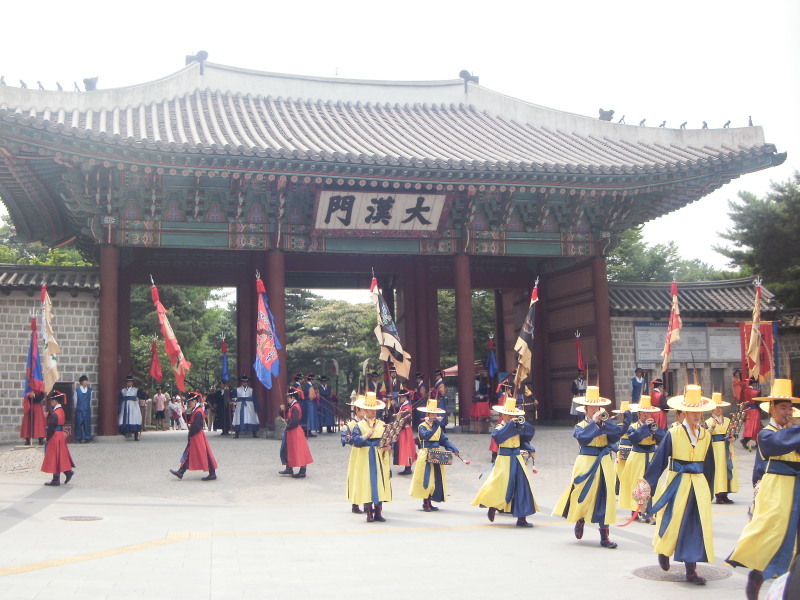 Our last day we spent a few hours at the Gyeongbokgung place which is the main palace of the city. Luckily the rain has stopped so we could enjoy the walk and the beautiful view. Seoul is definitely under-rated and if you have a chance, it is worth seeing. It is a very modern city and the people are really nice. Seoul's slogan is "Hi Seoul - The Soul of Asia" and couldn't agree more with it. Oh, and who thought that Singapore Changi Airport is the best airport in the world, you are still right, but depending on the source, Seoul Incheon Airport has also been voted as the best airport in the world. I agree with both - Seoul Airport has some great shopping (I love my Bobby Brown Eye and Lip Palette) and it is not as busy as Singapore Airport.